I've made this dish with the very small amount of oil listed below, and without. I'm listing it as optional because while you don't absolutely need it, I feel it does enhance the texture and flavor of the dish, while only adding a nominal amount of fat. Choice is yours. 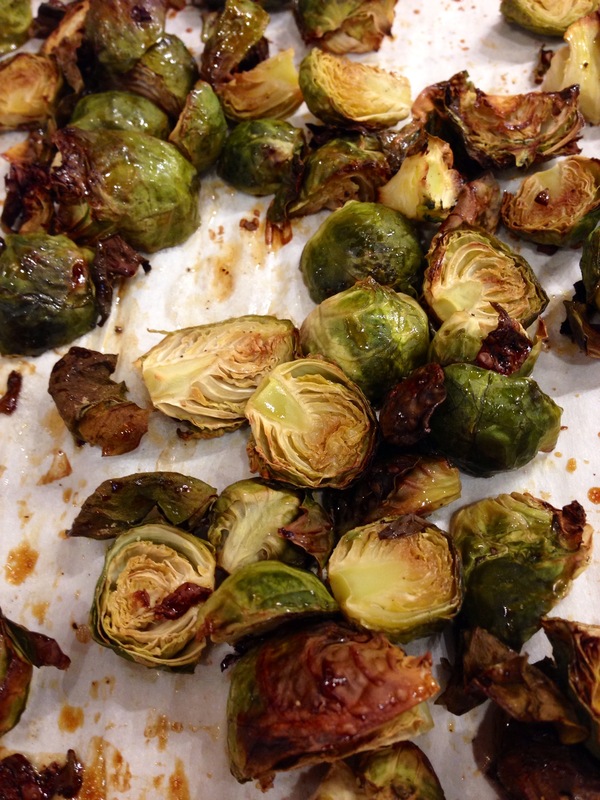 Place quartered Brussels sprouts on parchment covered cookie sheet and toss with oil (if using), salt and pepper. Place in oven and cook 15 minutes. Remove and stir. Place back in the oven for another 15. Meanwhile combine maple syrup and lemon juice. Remove sprouts from oven and drizzle lemon-maple mixture over the top, and stir to coat. Place back in the oven for 10 minutes. This entry was posted in Blog, Recipes and tagged Brussels sprouts, lemon, maple, vegan by Shelly Detken. Bookmark the permalink.